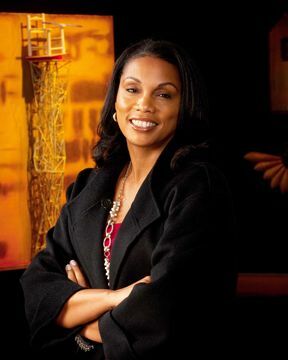 Deanna Banks is one of Furst Group’s leading human capital consultants and a thought leader on diversity in leadership for the healthcare industry. Throughout her 20-year career in healthcare, Deanna has built a thriving practice comprised of many of the industry’s leading hospital systems, academic medical centers, trade associations, and health insurance and managed government programs (Medicaid and Medicare). Deanna is skilled at partnering and consulting with boards of directors, chief executive officers, and senior executives on executive recruitment and retention, succession planning, and organizational and leadership development. She joined Furst Group’s East Coast practice as a vice president in 1998, was promoted to a Principal in 2006, and now has an ownership interest in Furst Group. Deanna founded the firm’s Washington, D.C., office where she serves a national client base that has placed executives at several of the top 25 hospitals consistently ranked by U.S. News and World Report. She has successfully placed enterprise leaders, regional presidents, chief executive officers, division heads, and operations, finance, human capital, and clinical leaders who are transforming the industry through their innovative leadership in this new era shaped by the Affordable Care Act. Deanna’s knowledge of the healthcare industry, deep network, and unique ability to identify potential future leaders has enabled her to successfully place progressive up-and-comers and talented executives overlooked by her peers. Those skills have also earned her the trust and credibility of boards of directors and executive leadership teams to provide sound counsel and minimize risk on behalf of organizations, resulting in increased revenue and cost savings through the leaders she has placed. Deanna continues her mission of leading cultural diversity initiatives in the healthcare industry by educating leaders and organizations to successfully attract, promote, and retain ethnically diverse professionals. She is an accomplished speaker who has spoken on career management at the Wharton School of Business of the University of Pennsylvania. She has also spoken at conferences ranging from the National Association of Health Services Executives (NAHSE) to America’s Health Insurance Plans (AHIP) as well as Modern Healthcare’s Top 25 Minority Executives in Healthcare awards ceremony and the Women Leading Healthcare conference. In March 2015, she will co-facilitate a workshop on Executive Search in Healthcare during the American College of Healthcare Executives (ACHE) Congress. Her extensive background with AHIP (formerly American Association of Health Plans) has led to numerous long-standing relationships with key industry leaders. Prior to joining Furst Group, Deanna managed two prominent executive training programs in the industry, Executive Leadership Program (ELP) and the Minority Management Development Program (MMDP), and has been involved with key minority-focused healthcare associations. She also serves as an active member of NAHSE. Deanna holds a Bachelor of Science degree in business management with a minor in paralegal studies from the University of Maryland.